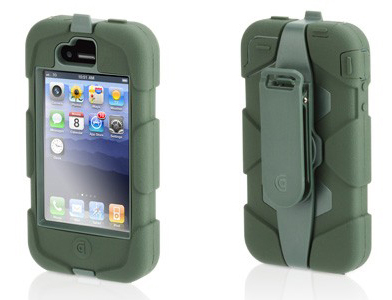 With my recent purchase of an iPhone 4 (s aapl), I began a search for the perfect protective case. Forget style and fashion; I want protection above all, considering how often I’ve dropped pocket devices in the past. Surprisingly few products offer a high level of protection, and even some previous brand leaders are opting for fashion over function. Which one can I trust my precious to? For an extreme case, generally you need at least three layers of protection. First is an integrated screen protector. No stick-on overlays, and therefore, no bubbles. The other layers include a skeletal hard case to provide structure and stability, along with a silicone overlay that provides initial shock and bump resistance. Usually the silicone overlay includes either flaps or overlays for the dock and headphone ports to prevent any moisture from accidentally getting int, too. All three together take their design from biology (skin/skeleton/vital organs), and you can think of the overlays as eyelids or a mouth. 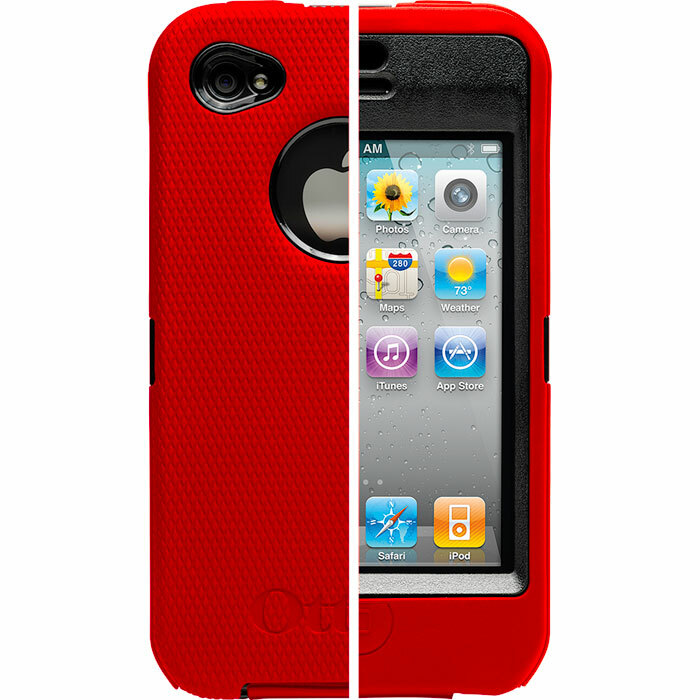 For many, Otterbox is synonymous with extreme protection. Up until the iPhone 4, I was generally satisfied with the Defender line, and I still love my iPad Defender case. However, with the iPhone 4, Otterbox streamlined the design. I’ll admit the iPhone 4 is beautiful naked, and I can respect how Otterbox wanted to get a slimmer case so the 4’s design could shine through.problem, though, is the silicone overlay. It’s much thinner than previous models. I can’t explain why, but after a few weeks the overlay simply wouldn’t stay on its hard shell skeleton. The overlay slipped off in my pocket and despite valiant efforts and multiple replacements by Otterbox, the dock protector would never close properly. The case’s poor design combined with poor materials leaves my iPhone unsatisfactorily protected. I’ll come back for an improved design, but in the meantime I need something better. Griffin has entered the market with its “k” case, and it’s an outstanding design that seems to copy the old 3G/3GS style of the Otterbox Defender. Griffin claims it’s tested and certified to meet or exceed U.S. Department of Defense Standard 810F and U.K. Department of Defense Standard 00-3. Looking up that standard, it’s pretty impressive, but I don’t intend to go to war with it, just survive the (sub)urban jungle. The charm (and one critical flaw) of the Survivor involves the silicone overlay. On the corners it’s reinforced with close to a ¼ inch of protection. Wow. Drop it on the corner and it literally bounces off the floor (yes I did try it with a live iPhone 4). It also not only covers the headphone jack, but has a plug to provide a seal making it unlikely water or other debris will get in that port. The dock cover also has a plug creating a seal, and the sides have a small series of holes to allow the sound to travel out. The home and volume buttons are completely covered, and the rotation/mute button uses a flap for protection. All of which is very good. The critical flaw is the camera protector. It forms a great seal and protects the camera from scratches and debris. The problem is remembering to remove the flap when pulling out the camera and having to hold it while taking pictures. The only way to take pictures is to manually hold the flap open while taking shots. I pondered more than once simply removing the flap entirely, but ripping it off was hard and I gave up. I then realized that if I really want to protect my iPhone, I can’t leave this critical port uncovered. Griffin has a video showing all the extreme things they did with the case. 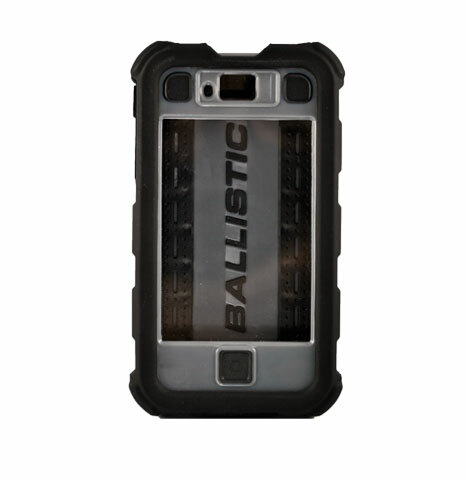 The final case I tested was the Ballistic HC Series. Similar to the other extreme cases, this also offers three layers of protection, but is much slimmer than the Survivor. Its silicone overlay does not protect the camera, and offers slightly enhanced padding on the corners. The flaps protecting the headphone jack, dock and mute/rotate switch do not form a full seal like the Survivor, but close significantly better than the Otterbox. The main flaw is that it is nearly impossible to remove with a coin or other implement. Most users probably will just keep their iPhone in one case, but I have various docks and battery extenders and often have to take the iPhone out. Both the Otterbox and the Griffin, on the other hand, were easy to open. If you do get one of these extreme cases, I recommend Cable Jive’s dockStubz to help your new iPhone case work with standard dock connectors, as many iPhone peripherals expect a flush connection with the 30-pin connector. CableJive also makes a dockXtender which works in situations in which the dockStubz doesn’t. Of all the cases, the Ballistic had the hardest time connecting items to its dock connector. So which case was my favorite? Obviously I was unhappy with the fatally flowed Otterbox Defender, and went back and forth between the Ballistic and the Griffin. Ultimately the Griffin won out. That extra protection and tight seals far outweighed the annoyance of the camera flap. I agree with your reviews completely. I’m using the otterbox simply because the fit and finish are better than other cases in this category. I much prefer the otterbox for the iphone 3. The griggin looks tough, but thet lose points for the camera cover, the belt grip, which is flimsy,and the silicone really needs to be finished a little better…probably made in China. The Ballistic hc is quite simply… junk! after one day of use I returned the product and am still waiting for my refund. The Ballistic did not stand up to their claims, and fell short on fit, finish, design, and the screen did not respond well. the silicone kept slipping off, and I would not trust such a shabby product to protect my Iphone. I would buy the Griffin survivor if they modify the camera cover, and cleaned up the silicone sleeve and replaced the holster clip with an aluminum replacement. If Otterbox took the best qualities from these competitors, and re designed their case, I would definitely buy one..simply because they stand behind their products, without the bragging. Thanks for your honest, insightful,objective commentary. God those are absolutely hideous. What’s the point of protecting your phone if you’re going to ruin the design of it by doing so? Lots of features and protection the above cases don’t offer. I purchased the Griffin Survivor case yesterday and with my short fingernails, I found it nearly impossible to even open the camera flap. I got it open and sliced it off with a razor blade. Problem solved. Thanks for the great review Dave. I wanted to let you know that we have revised the camera flap on Survivor. The cover now has a raised piece that will fit into a groove on the case, so that the flap is held open while you’re using your camera.